1 day ago by JP R.
This is by far the best trampoline ever. Easy install! my child just can't get enough. I love the safety and security of knowing he and his friends bounce off the wall and not fall out. boys tend to get extra busy and the trampoline is always there. 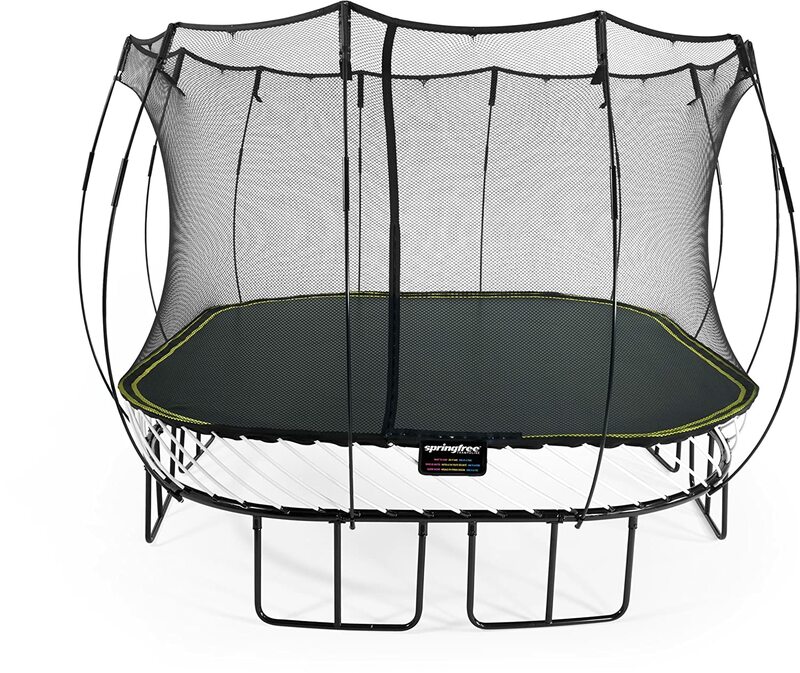 This trampoline is amazing, really well made! Videos were very helpful during instillation. Our kids love it! Easy to place order. Also had good customer service when I called in asking a few questions. Kids love it. We love the fact that it is safe fun that tires them out. Happy kids = happy parents. Stopped in at Calgary location to view the products and talked to David there. He was super helpful and really great to deal with. Store and install personnel (Calgary) were awesome, professional and courteous. Amazing delivery time for an amazing product as well as excellent customer service. Thanks! Kids are in love and will get years of enjoyment out of it. Great company, with a superior product! Fast and efficient delivery and my grandsons love it! They were helpful in quickly responding to all my questions. I am happy with the product. 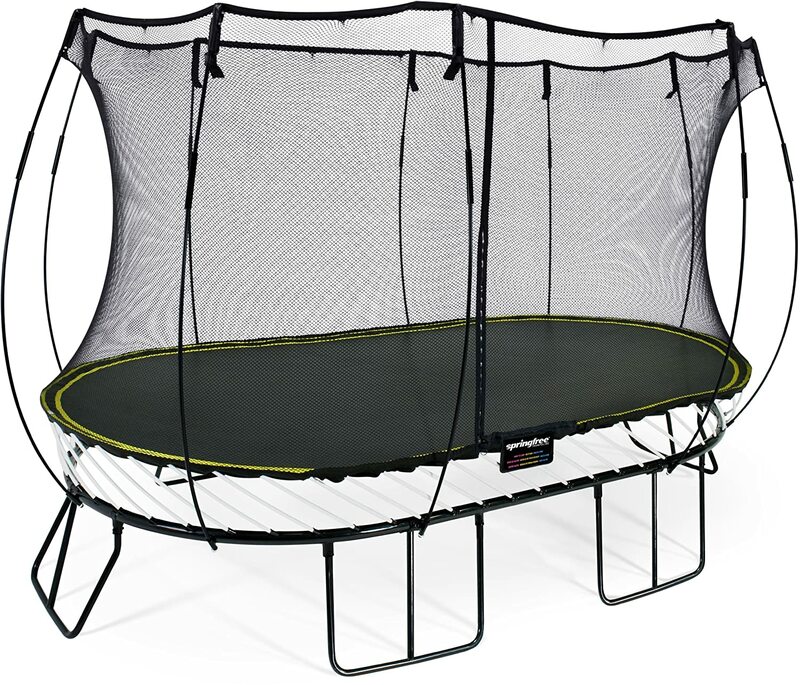 Had a traditional trampoline as a kid. Also they humored my non standard installation request. 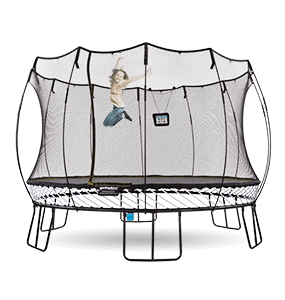 Hello, We purchased the 13x13 jumbo square trampoline about a year ago and it has been wonderful, I was really impressed when I launched into the net trying to impress my kids, weighing at 210 lbs. the net really worked. Of course this was an accident on my part but I won’t even think twice now for or the safety of my kids. 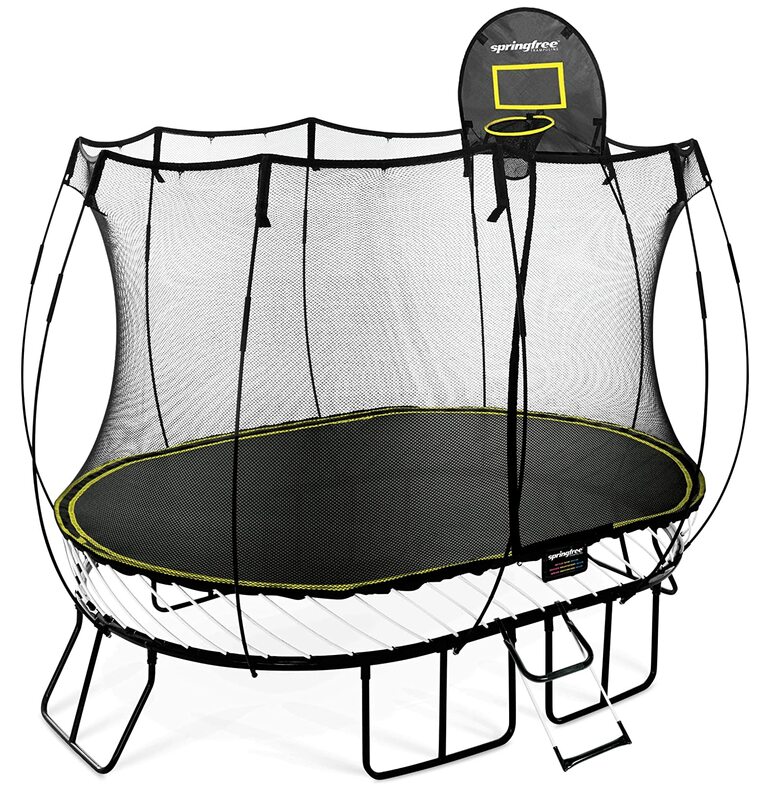 I grew up with trampolines and this company is the safest by far! Thanks again! Really love this product and the kids play on it all the time. It is more expensive but you can tell by the quality of the materials that this product will last a long long time. Would definitely recommend this trampoline over others. Awesome for exercise! My grandchildren love it! The best exercise ever ! Awesome trampoline! My kids absolutely love it. 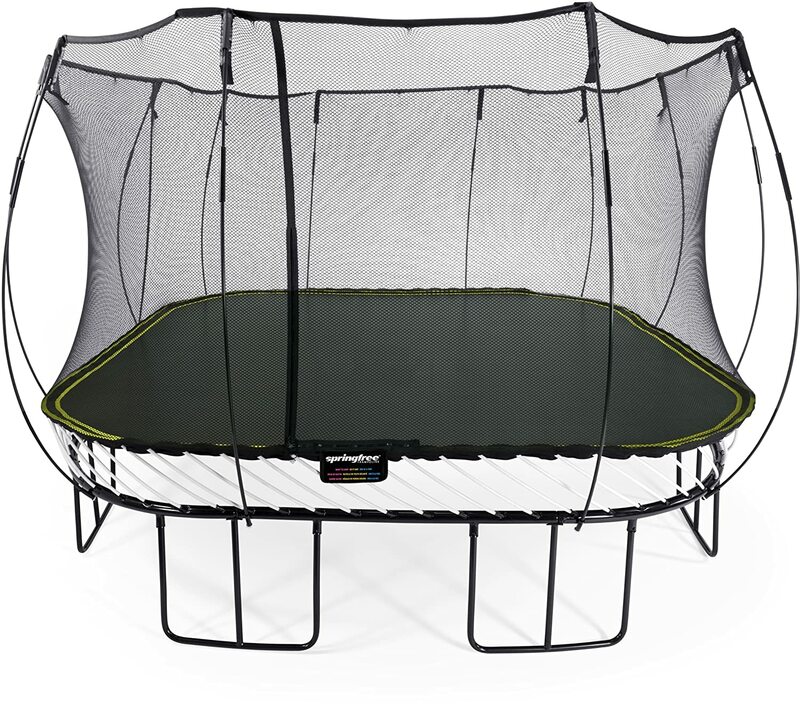 After the first day of jumping we knew that we made the right choice investing in a Springfree Trampoline. We not only gave our kids a great activity we love it too! Exceptional service at the Issaquah store and set up could not have been easier! 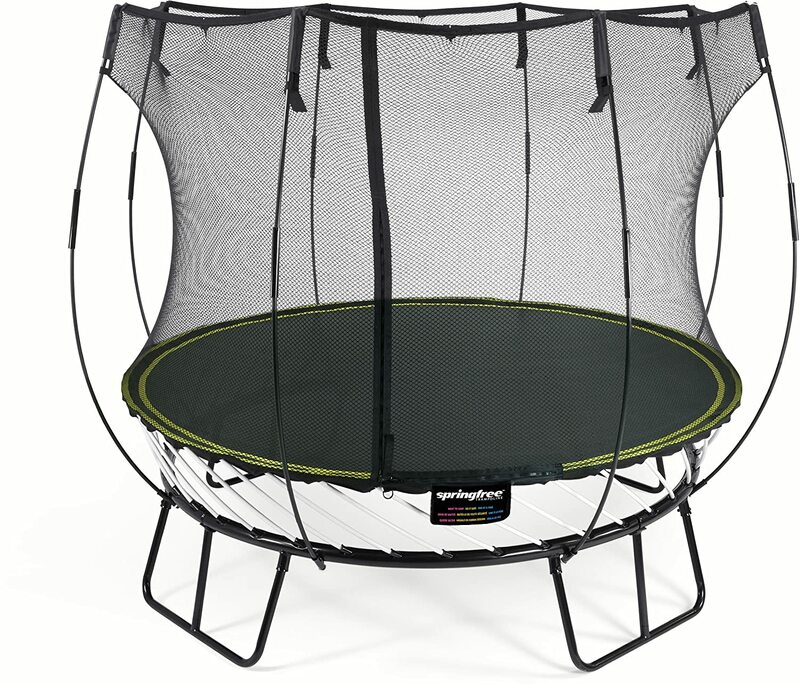 Springfree Trampolines are the best made trampolines on the market. They are also the safest. They have an amazing staff and they came to our house and installed it right before Christmas day and it was an amazing gift. If you have younger kids and want the BEST, Springfree is the way to go!